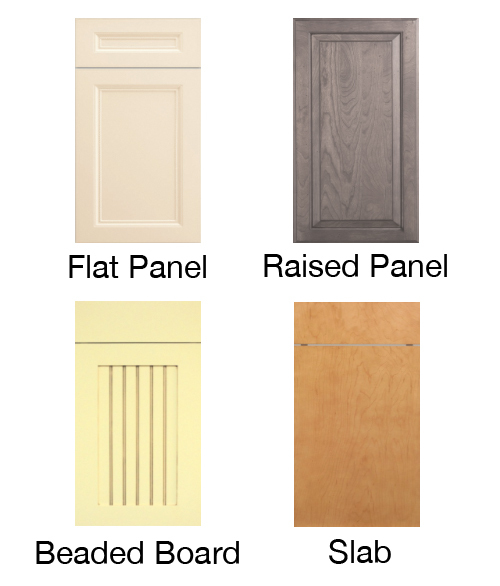 Choosing your cabinet door style is important as it can dominate the look of the room. Consider the frame and color to suit your new kitchen and bath space. Natural solid-wood cabinets have a light, transparent top coat for protection. Stain is applied to add color to cabinetry. It also protects the wood. A high-quality enamel paint in any desired color can be applied to wood cabinets. A glaze applied over paint or stain will adhere to the natural nooks of the wood to provide a contrast & unique look. 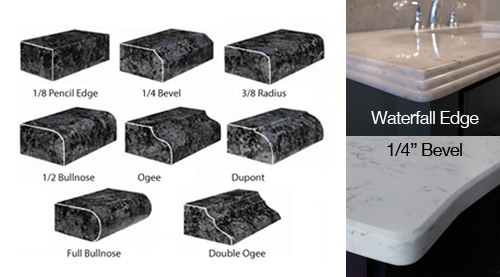 Choose from these countertop edges to enhance your design and reflect your style.